The interesting thing about a book signing event is that I never know who is going to show up to buy a copy of my book. Such was the case this week when the ladies of Place on the Pointe, a shopper's paradise in Albany, Georgia, hosted a book signing for me. Amid the two-legged customers was George, with whom I had a nice chat as I inscribed a copy of my book to him. (I didn't get a chance to ask him if the lack of opposing thumbs made holding a book difficult.) If only I could figure out how to get Alfie interested in reading. 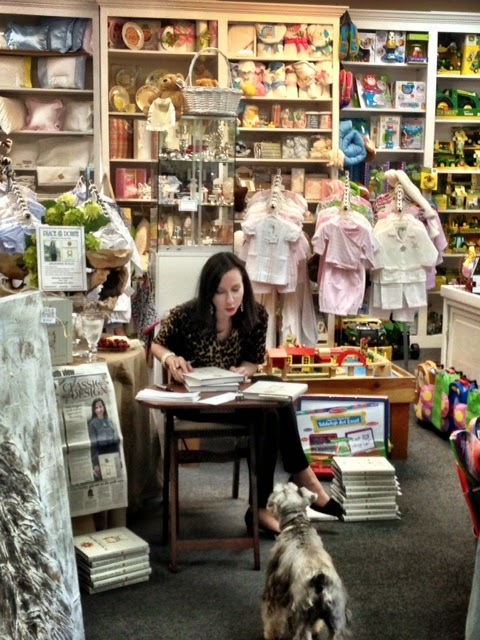 Having had many successful book signings, I know it is something EVERYONE must do for themselves. Happy it's your turn.